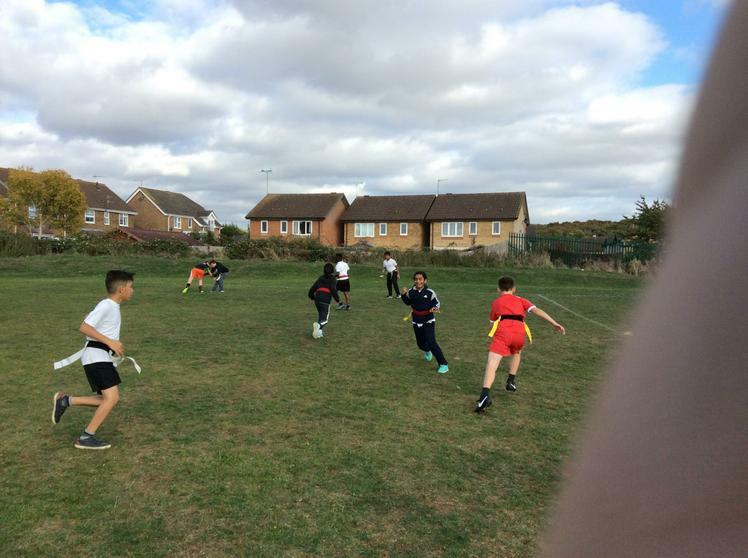 TAG Rugby will be taking a winter break from the end of October until the spring term when the light and weather improve. Further information, including start dates, will be sent out in the spring term. Thank you. 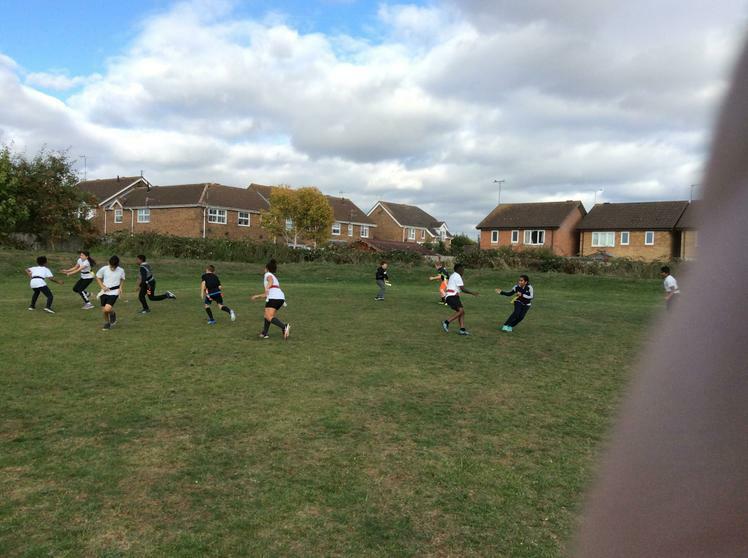 TAG Rugby Club is held on Wednesdays after school from 3:30-4:30 on the school field with Mr Leech. 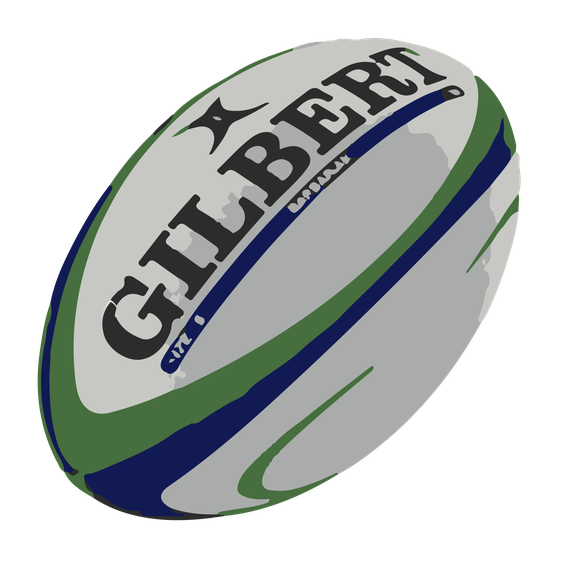 Sessions cover the basics of rugby (including skills such as running, passing, catching and spatial awareness) moving towards the more complex, tactical side of TAG rugby. 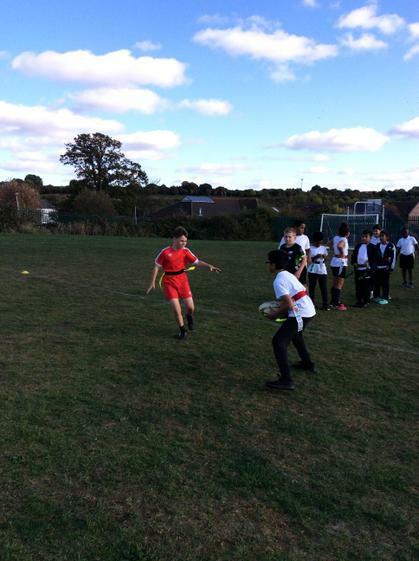 TAG rugby is a fun way to introduce children to the sport and is great for teamwork and communication skills. Year 5 & 6 showing off their skills!